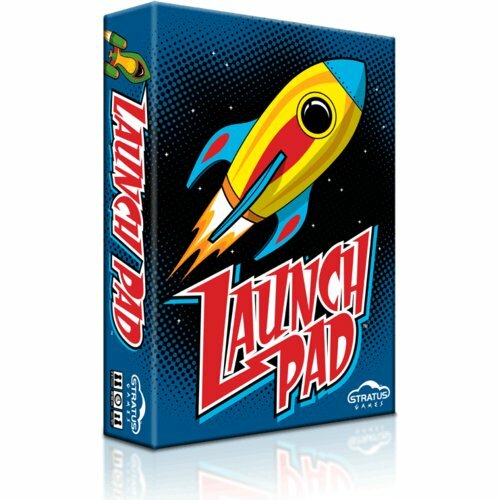 Launch Pad may not replace perennial favorites such as Bang! or Monopoly Deal in my lunchtime game group’s library, but it’s certain to join the alternates’ rotation. After all, any game that can simultaneously bring a smile to one player’s face and a grimace to another’s is always guaranteed to be an absolute blast. Although the rulebook can be a tad daunting, at first, the gameplay is surprisingly intuitive and most players who have had any experience with card games will pick it up very quickly. 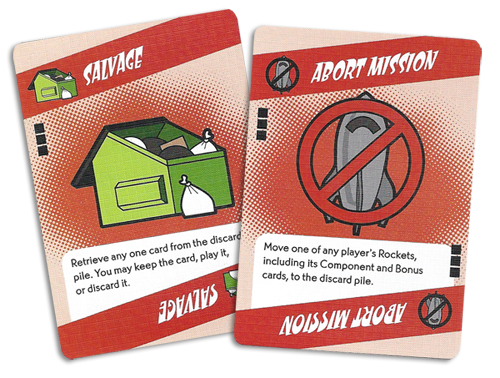 With all the options, replay is fairly strong, but I can already see the need for some house rules to keep things fresh for the long haul. 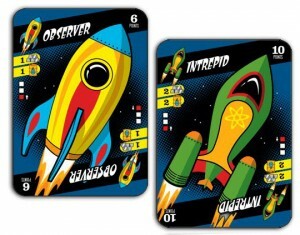 Who doesn't love Flash Gordon-like rocket ships and crisp, whimsical graphic elements? The artwork, card design and typography are superb, and the card stock - albeit a bit stiff, at first - is top notch and will stand up to a lot of shuffles. This game is a lot of fun - with the right group. The only reason I hesitate to elevate Launch Pad to five on the die is that it contains a significant amount of what I call "punk factor" - the ability to not only affect an opponent's play, but to also mess with their heads. 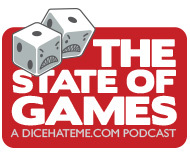 For that reason, some games may end up with hurt feelings or changes in a will. Overall score: 13 out of 18 - All systems are go for fun. 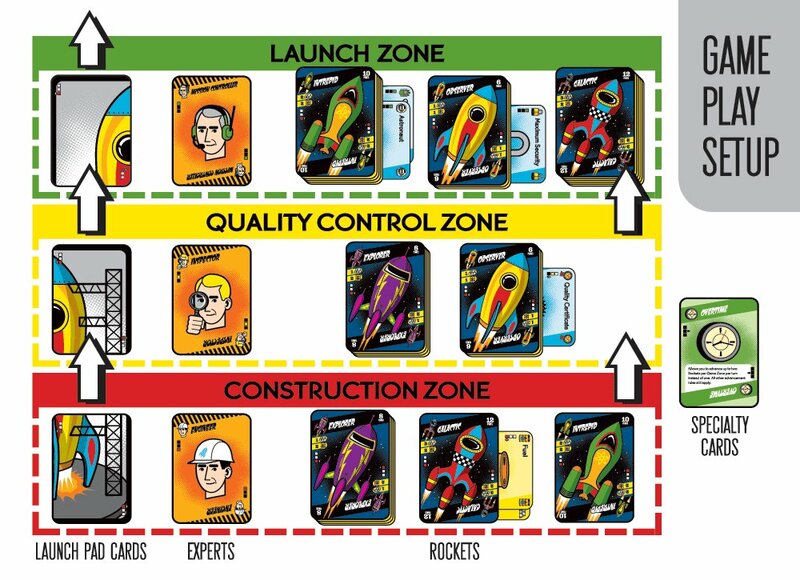 Launch Pad is a game for 2 to 4 space cadets, ages 10 and up, and will be available for purchase at your favorite local game store or online at Stratus Games in mid-November, just in time to start a fight at the Thanksgiving dinner table!